A delightful, original card, telling mum to have a 'Relaxing' Mother's Day. 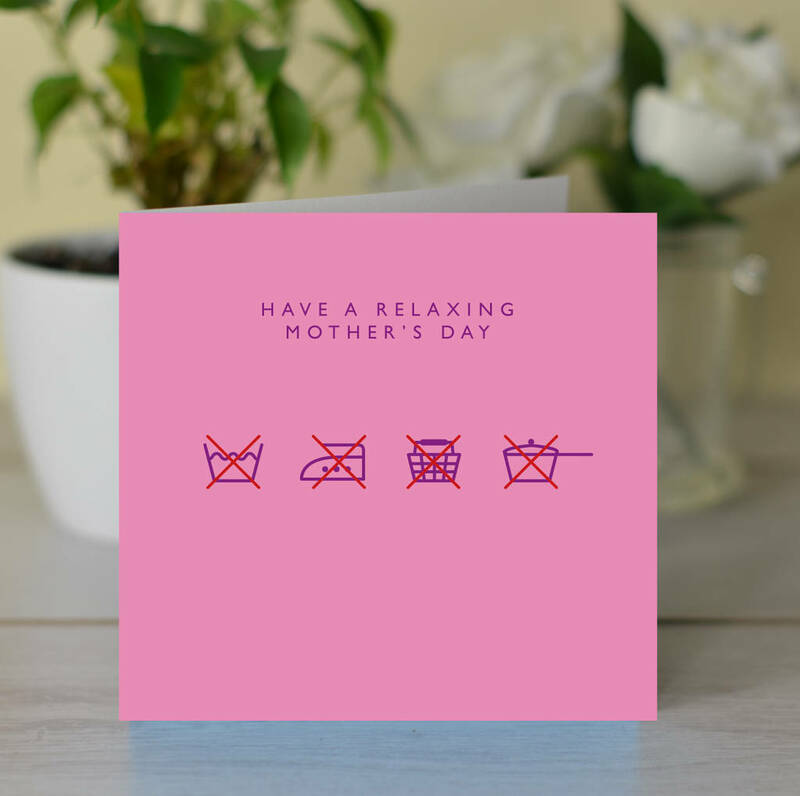 It is perfect for the daughter or son that wants their Mum to laugh and smile and to ensure that Mother's Day will be remembered for fun and laughter - as well as the traditional day of thanks. 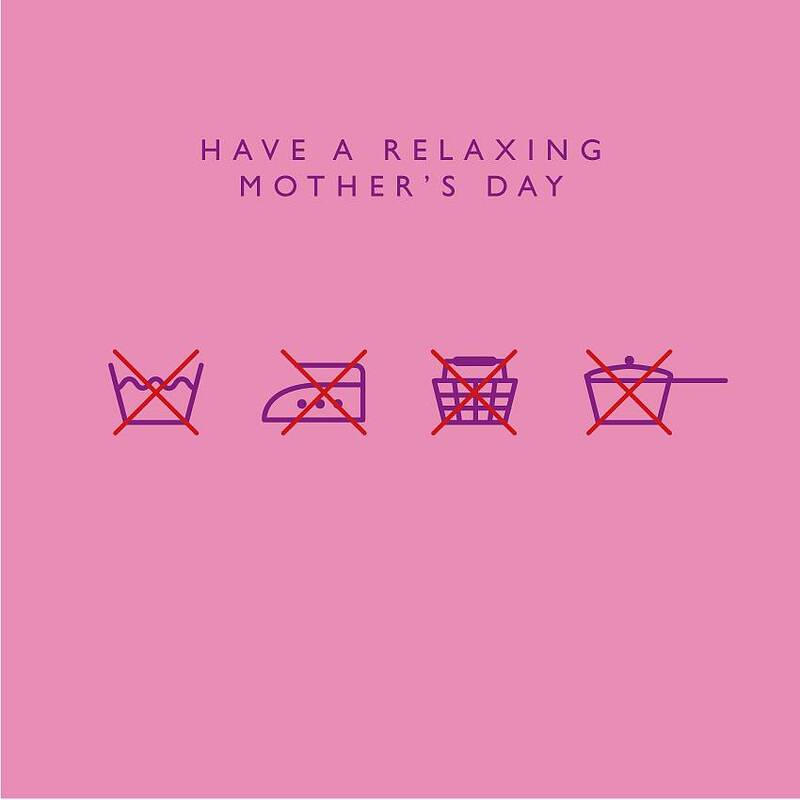 It's a very unusual card, but it's clever, witty and definitely for a Mother who likes something different.